This year is the 50th anniversary of both the Wild & Scenic Rivers Act and the National Trails System Act. These important pieces of legislation protect the places people love to play outside. The Wild & Scenic Rivers Act protects 12,734 miles of free-flowing waterways, and the National Trails System Act established scenic, historic, and recreational trail systems across the country. This epic roadtrip highlights the best of the region, including Wild & Scenic Rivers you can raft, a National Trails System gem to hike, and favorite breweries to enjoy a pint. Just 76 miles of Colorado’s waterways are protected by the Wild & Scenic Rivers Act, and all of those are part of the Cache la Poudre River. This section, located north of Rocky Mountain National Park, boasts rapids ranging from Class I to Class VI. Class VI is ginormous. Hire a guide. The Poudre goes right through Fort Collins, with Odell Brewing and New Belgium Brewing located just down the street from the river. Over 800 miles of the Continental Divide Trail are located in the Centennial State alone, offering plentiful options for exploration along with numerous access points. A number of CDT routes go right through Rocky Mountain National Park, which offers CDT hikes ranging from a long, arduous loop to a short lakeside stroll. When in nearby Estes Park, pop into Estes Park Brewery which opened in 1994. Over 400 miles of the Snake River Headwaters are protected, including headwaters and tributaries ranging from tranquil currents to raging torrents of whitewater. Numerous Jackson Hole outfitters provide ways to get out on the water. Pick a scenic flatwater float to spot wildlife; or sign up for an whitewater adventure to scare yourself high. 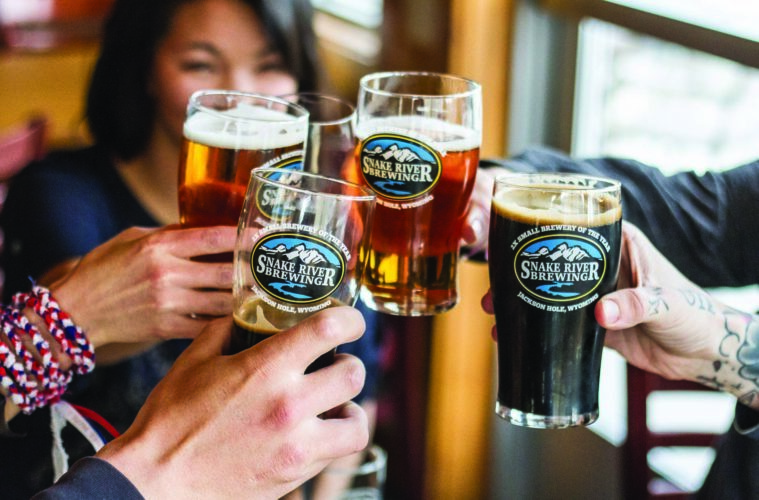 Once you’ve had your fill, check out Jackson Hole’s collection of microbreweries, including Snake River Brewing or the new Stillwest Brewery scheduled to open this summer. For more adventure possibilities, check out other Wild & Scenic Rivers (rivers.gov/wsr50) and the National Trails Systems (trails50.org/national-trails).